These days, you can find a digital version of almost any form of entertainment. Being able to download or stream content is convenient for a lot of reasons—you can avoid going to the store and you never have to worry about late fees on rentals. But when you purchase something by accident or change your mind once the download starts, you're left with a precarious situation. Returning a DVD or book is pretty easy, but what about digital content? Many people think that once they've bought or rented something online, they're stuck with it, but most large companies actually have return policies for digital content, and here's the breakdown. Accidentally buy a movie you already own, or rented the HD version by mistake? Apple's iTunes Store actually has a built-in function for returning accidental purchases, but a lot of people don't know about it because it's not exactly obvious. 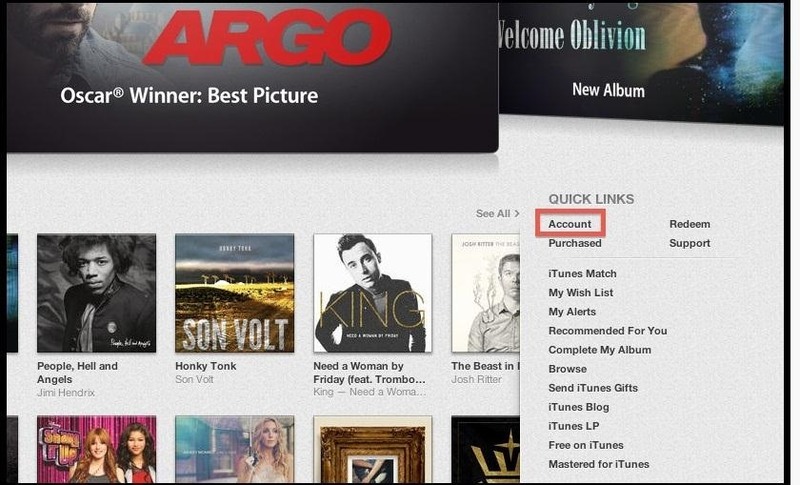 Open up iTunes on your computer, log into your account, and go to the iTunes Store. Under the Quick Links section, click on Account, enter your password, and Sign In. Find the item you want to return and click on the little gray arrow icon to the left of it, which will take you to the details for that invoice period. Clicking on the Report a Problem button will bring up individual Report a Problem links next to each app, book, movie, or TV show. Now, choose the reason you want a refund from the drop-down menu. You can provide more details in the Comments box, and once you hit Submit, your claim will be reviewed within 24 to 48 hours. The faster you submit the claim after the purchase, the better your chances of getting a refund. You can also do this from your email receipt for the purchase, or directly from Apple Support. 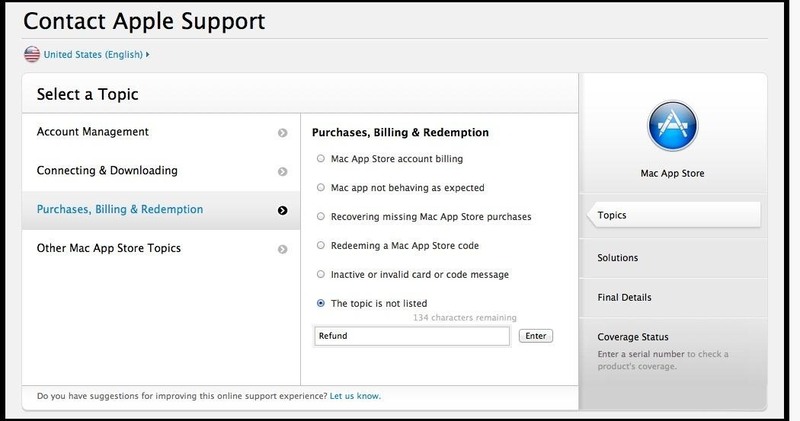 If you want to return a Mac App Store purchase, you'll have to do it through the Support Page. On the left side, choose Contact Support, then under the Account and Billing Support section, click on contact us. Go to Purchases, Billing & Redemption and select the topic is not listed. Enter a basic description of your problem (or just say "refund") and it will take you to a page where you can email Apple Support and let them know why you want to return your purchase. It's worth noting that Apple's Terms and Conditions state that all sales and rentals are final, so they do have the right to reject your claim. However, if you're polite and have a legitimate reason for requesting a refund, they'll usually be willing to work with you. Unfortunately, Amazon does not allow returns on "purchases from the Amazon Appstore, the Amazon MP3 store, and the Amazon Instant Video store." Like with Apple, you can email them by going to the Customer Support page and clicking on Contact Us on the right hand side. If you make a good case as to why you deserve your money back, they might take pity on you, but don't expect too much. Amazon generally isn't as forgiving as Apple, so you'll want to be extra nice when you email them—and make sure it's a one-time thing. Accidental Kindle purchases are the only digital items that Amazon has a return policy for. In order to be eligible for a refund, you must return the book within 7 days of purchase. After logging into your account, click on Manage Your Kindle, then find the eBook you'd like to return. Click on the Actions button next to it, then select Return for Refund. From the drop-down menu, choose your reason for returning the item, then hit Return for Refund again at the bottom. Once you do this, the book will disappear from your account and your Kindle, and you should receive your refund within 3 to 5 business days. Returning apps to Google Play is easy—if you act fast. 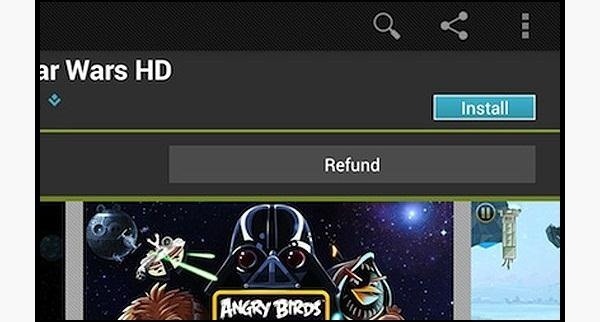 Google allows refunds within fifteen minutes of the initial download from the Play Store. 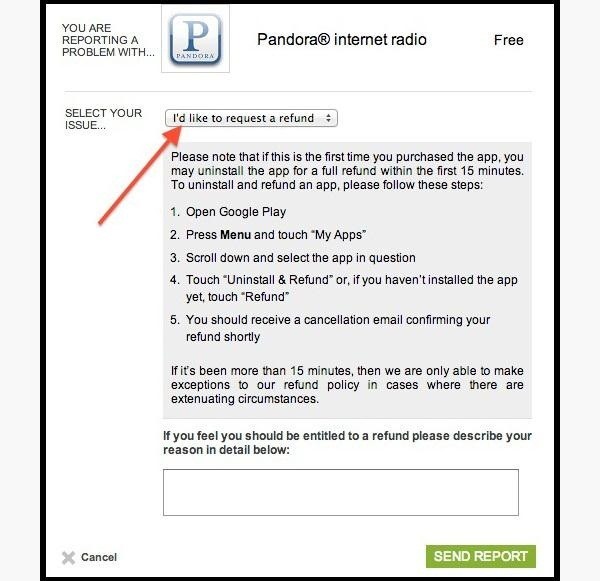 To request a refund from your device, go to Menu -> My Apps and select the app you want to return. If the app is eligible for a refund, it will have two options: Open and Refund. Select Refund, then Uninstall (if you haven't already uninstalled it). To request a refund from your web browser, go to the Play Store and click on the gear in the upper right hand corner, then select My Orders and Settings. From here, find the app you want to return and click Report a Problem. Now, choose I'd like to request a refund from the drop-down menu, and enter your reason for returning the app in the box below. Now, just hit Send Report and you're good to go. If there are extenuating circumstances (like the app doesn't do what it says it does, or is just complete garbage), Google can sometimes make an exception to the 15 minute policy. Just be sure to give a detailed description of your problem with the report. If it's been more than 15 minutes since you purchased the app, Google recommends contacting the developer directly by going to the app's description and clicking on Developer. There should be a phone number, email address, or website you can visit to request your refund. Google's refund policy for music states that all sales are final, but you receive a defective download, they'll make an exception. If you download a song or album and haven't started playback or streaming, you can cancel within 7 days of purchase by reporting a problem from your Order History. Like music, rented or purchased movies and tv shows can be refunded within 7 days of downloading if you haven't started playback. 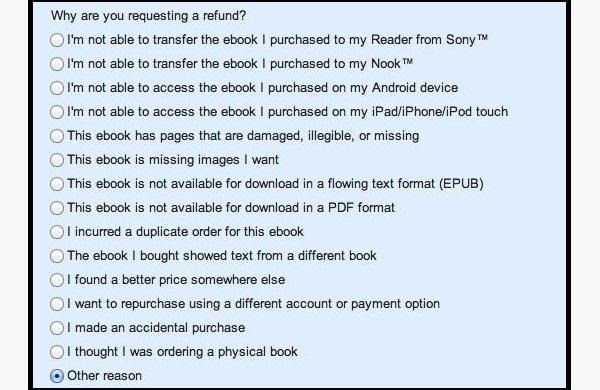 For ebooks, you can request a refund within 7 days of purchase for a number of reasons, including defective downloads, accidental purchases, or even because you found it for a better price elsewhere. Once you select a reason, more information will appear about that particular problem, including a form for requesting your refund or contact Google support. The Windows Phone Marketplace allows one refund every 30 days for mobile apps. First, go to the Marketplace and login, then click on Purchase History. Next to the app you want to return, click the Details button, then click Get Support. From here, choose Get Help With My Bill, then Request a Refund. As soon as the refund is initiated, the app will be removed from your device. Make sure you act quickly since you must request your refund within 24 hours of purchasing the app. Got Any More Tips for Returning Digital Content? As with any other purchase, none of these methods are 100% guaranteed to get you a refund, but as long as you're not trying to scam the system, you should have pretty decent luck. It's understandable that companies don't want to be cheated out of money (a tech-savvy user could probably figure out how to make a copy before getting their money back), but you should never be stuck with a purchase you don't want. Hopefully as technology evolves, companies will find ways to make sure they're protected while still giving customers the option to return unwanted downloads and improving their policies (ahem, Amazon). Until then, just be extra cautious with your clicks. Know of any other tricks that aren't on the list? Be sure to let us know in the comments below.